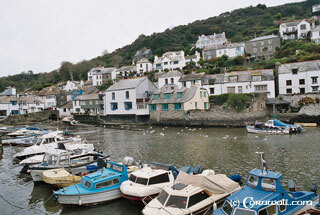 Polperro is a pretty village close to Looe situated in a steep, almost hidden valley of the River Pol with narrow winding streets wrapped around a tiny harbour. The village is a maze of mostly whitewashed beautifully preserved cottages that have not changed for the last 100-200 years. It is an idyllic location and is a designated conservation area, with a number of good gift / craft shops, old inns and restaurants to cater for the visitors who cannot resist its charms. 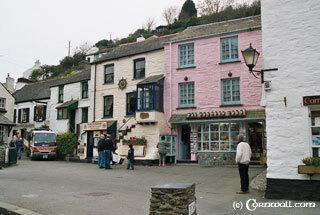 Like other small villages Polperro restricts cars and there is a car park at the top of the main entry road. 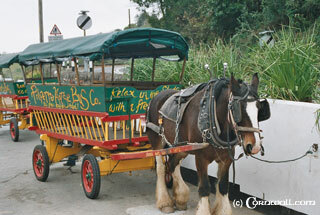 However to cater for this Polperro has a horse drawn and small motorised tram bus service that just adds to a memorable day. 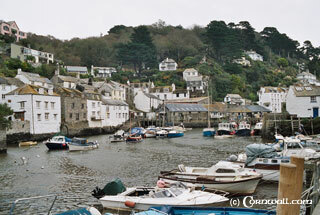 There are also boat trips to nearby Fowey. Local attractions in Polperro include the Polperro Heritage Museum of Smuggling and Fishing that is housed in a former pilchard factory. 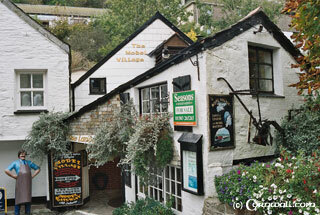 The model village is also of interest, but is currently up for sale. There are also picturesque cliff walks in the area.